It's kinda funny how the show that basically didn't happen (Does It Really Happen?) gets the most posts / comments than any other show. Ha ! Hey "SK", I did see your comment about the tempo of SK. I suppose we were the only 2 people that noticed ? But then again, RUSH has slowed things down too. Entre Nous comes to mind, from Snakes & Arrows Live. Well I have to say, some of the comments here were dead on... funny as hell... or just plain interesting to say. This was my first Yes show. I have been a fan for many years, but for any number of reasons I had never got a chance to see them. My wife got us tickets for my 40th birthday, so this was a very special show for us. The venue... whoa.. I think enough has been said about that. That was an amateur 4th class production ..and yes.. YES deserves better than that. After seeing the MASS of people that stayed through that.. just what do you call that... a deluge doesn't do it justice. I would say that Yes fans deserved better. My wife and I stayed.. and you know... we COMPLETELY enjoyed the experience. A typical show for us.. we would have sat on our asses and dug the great music. The circumstances of the weather, and basic need for SURVIVAL hahahha, meant my wife and I, who tend to be a bit on the introverted side got a chance to share the misery of that weather with some very nice and sweet people. When the group came back on.. we moved even closer to the stage and got to meet more great people and talk all things YES and music related. It was a real experience. I hope Yes does swing back through on their way back to Europe for at least one person who really had the time of his life.. but an incomplete one at not seeing these legends perform songs that he loves.. and seeing a bass player he has idolized since before he picked up a bass for the first time. to the promoters.. bah.. I would have loved to have been a fly on the wall on whatever meeting you all had to discuss EVERYTHING that you all did wrong. I will say this though.. it didn't ruin my experience.. topped off by screwing the Nat. Harbour of their damn parking fee which after all the delays and time to get out of the garage.. probably would have been as much as the show hahah. They also played their hits, even though Steve Cut John's bass solo, as well as Geoff's bridge (in Sole Survivor) short, the "Opening Act" was wonderful. Alas, Yes came on, starting with Siberian Khatru. Followed by rain delay after delay. My GF and I left, as the lightning was rather dangerous. I give credit to the fans that stayed, they were rewarded with a brief concert. The Asia portion was close to being "worth the money". However, I am seriously disappointed that refunds and/or exchanges (for a future Yes show), were not offered. It was a curious choice of venue, given the suddeness of summer t-storms, in the DC-area. VIVA YES, ASIA, and HARDY FANS!!! To those ripping National Harbor, let me say first that I understand your frustration. I'm in no way affiliated with National Harbor, but I would strongly encourage people not to write off this venue if Yes (or any other band you want to see) comes there to play in the future. As I mentioned, I'm fairly certain that there are plans to build a better, permanent staging area. Did National Harbor get ahead of itself with the Sunset Concert series this year? Maybe. But they're trying to make people aware of the existence of the venue -- which is much more than just a place for live performance. Hopefully this will be a learning experience for National Harbor, and something like this can be avoided in the future. But honestly, as vicious as this lightning storm was, I'm not sure the show could have continued in even the best outdoor band shell. And I will admit that it would have been much more sensible to reschedule or offer refunds or rain checks. By now you've got the picture - IT RAINED. 24 days we have gone without rain. All of it was saved up and fell last night in a short time... Right on National Harbor... Just as YES started. What a bummer. You had to be there to really get a measure for the amount of rain that came down. Rain or shine - OK I can deal with that as I purchased tickets for my family of seven back in April. Oops, I realized when we arrived and got seats, this stage is small. The "farmer market" tent holding Steve's preciouses didn't even have sides on it, etc. Now for the observations in no particular order. From the second row right in front of Steve we were closer than we had ever been. Perfect view of Carl, John and Geoff too. A couple of meet and greet and long timers to ASIA all around us that gave some great eye contact for us as well. So for me at 52 and my youngest at 12... well almost 13, not a bad set. The fam had heard all but the newest song since I have been playing them forever. Carl made the funniest faces and very animated. Geoff, loads of fun to watch and a good stage presence. And John, he says "Oh by the way, we're ASIA" I had to blurt out in my 120 decibel concert voice "DUH".... oops he heard me, but still chuckled anyway. They play, sound good, we smile, clap, laugh and whistle..... All is good. Nice set. OH NO - it's raining and lightning in Alexandria across the river. This can't be good. Got a laugh from the venue rules on their web site. "Absolutely no tailgating." Sorry guys but there is no way anyone could convince me to light the grill, fire up the burgers and dogs and crack a few in the parking garages of National Harbor. OK maybe there are other places to park not in the parking garages to tailgate I did not locate... but it still made me laugh. "You will be searched" .... BULL S___. Look out after the rain drenched double fisted drinking begins. At this point, I'm guessing, on observation alone, that would near 10-15 or $50 to $75 invested in blessed inebriation, out comes the weed and weirdo�s. Any way off the point. If you seriously need to smuggle in a bottle.... of water stupid, make the smart move and put it in a rather nice but not oversized kinda of picnic bag with some really appropriate floral arrangement fabric. Don't show up ripped up on something even if it's of an organic nature and make sure your attractive, even if a little portly, nicely dressed wife, or companion (equally unfazed from years of putting up with your antics) carries it in. Put in a few blankets or other weather uncertainty type items... plastic ponchos etc, in amongst the afore mentioned to be smuggled in items and you'll most likely get away with it at National Harbor. Twelve year old daughters almost thirteen, those polishing their social skills, work really well too. Just give them the safer items like vodka in water bottles. You should be good to go. Contracts are crazy things. All kinds of stuff to protect both parties. Even the nasty stuff nobody likes to sign...... like no play no pay... no play we cancel you pay. Nasty stuff no body likes. Not the Guys, you or I. The Asia show was very well done. Lots of energy from the entire band, especially Carl Palmer. Some have commented negatively on the Buggles and King Crimson tunes as well as the acoustic renditions of "Don't Cry" and "The Smile has Left Your Eyes" but I thought they all brought nice variety to the set. As dozens of reviewers have pointed out, the Yes show was essentially rained out. Based on 3-4 minutes of Siberian Khatru, Your Move / All Good People, and a rain-abbreviated Roundabout I was impressed with Benoit David's vocals. Obviously he is not Jon Anderson and did not write the lyrics, but he did them justice in the short sampling I heard. Unfortunately after Khatru, Oliver's keyboard's were rendered inoperable by the weather but I have no reason to doubt he would also have contributed quite capably. It probably won't help to say so but it would be nice if Yes could return to DC area before shuffling back to Europe for the fall. A new studio effort (think last one was in 2001?) with Jon and/or Benoit would also be welcome. As for the venue, had the concert been held a day later, the weather would have been great and all would have been well. The food/drink concessions were less than optimal but I didn't attend to eat and drink anyway. My concert companion from last night received this email from your office and James Entertainment. We feel this only adds to the frustration. We are both offended that this letter tries to dangle the name of a charity in defense of the promoter's actions. This is a charity that at no time until now were we aware was even involved. Now that a huge mess has ensued from this debacle -- your office trots out a charity that no one knew we were supporting. I checked the web site, and my ticket stub. No mention of a charity anywhere. This was shoddy planning pure and simple and James does not even have the guts to admit it. They instead choose to act as cowards and hide behind needy families. Thank you, but we will pass for the offers of another show. We came to see Yes. The rest of the acts on your schedule are hardly substitutes. We were as disappointed as you when the heaven's opened on Yes after Asia's brilliant set. Due to the violent intensity of the storm, there was absolutely no way to protect the band's equipment in a manner that would have permitted the show to continue through the storm. Further, the presence of lightning, endangering all parties in attendance caused a further delay. After the storm abated, the stage crew did it's utmost to dry off/ repair and did a brilliant job. An announcement was made after Asia's set, that we would hold the show until after the storm cleared. As was clearly visible to the patrons who stayed/returned, the crews worked diligently to get the show going again. Yes- phenomenal troupers that they are- took the stage again. The show finished after an abbreviated set by the band, due to the storm's resurgence. James River Entertainment appreciates the support of the public and the dedication of the Yes band and crew in the face of such a storm. All concerts benefit in part Christmas in April, a non profit organization that rebuilds homes for area families in need, the elderly and those with special needs. As both bands did play, they required payment. If any patron, for this show comes to the remaining shows with their Yes/Asia ticket stub they will be given free admission. Those with Gold Circle tickets can acquire Gold Circle seats on Aug 6, as other Gold Circle seats are sold out, but may be used for general admission for any remaining show. Your understanding in the face of major adverse conditions for this non-profit contributory event is greatly appreciated. Thank you for your critique. I feel that many of your points are well taken and we will press the promoter to improve those areas. If you should change your mind and want to consider one of our upcoming shows, please email me and there will be two complimentary tickets waiting at Will Call for you. Yes started with some of the best sound and music I've ever heard at any concert. It was a magical moment with a song from side 2 of the masterpiece Close to the Edge (Siberian Kathru, I think). But the rain spoiled the moment for all of us. Yes came back around 10 pm and played two songs without keyboards (I've seen all good people & roundabout). Everybody felt the absence of the keyboards at the key moments, and were sad to see Oliver Wakeman playing the tambourine on the back. But the music was great nonetheless, and the effort by Yes very commendable. A second thunderstorm came and the concert was over. No need to ask for refunds or anything else as some of the reviewers say. Only this: Yes please come back to DC soon. Asia was great also. Carl Palmer's drums solo was terrific. Was to be my 11th Yes concert, not counting the ABW&H show, or all the solo variations. Was looking forward to seeing Benoit David (this from a Jon Anderson fan), and Oliver Wakeman. After all the lineup changes over the years, I'm still with you guys. I don't blame any of the Yes management for booking the venue, but the promotors are obviously new at all this. Rain or shine was out the window as soon as the rain came down hard. Won't be able to make it to any other remaining dates. Asia sounded good. Wetton's voice was solid. Noticed some piano backing tracks that Geoff Downes was definitely not playing, which caused Carl Palmer to go a little out of synch on (I think) "The Smile Has Left Your Eyes". Would have been better visually if they had been able to spread out on stage more. I think the key was dropped on "Heat Of The Moment". I hadn't noticed it until the arrangement modulated up at the end, and then sounded more like the original recording. I wonder if many people remembered that Wetton did not sing the original version of "In The Court Of The Crimson King"? I called the ticket service for National Harbor, and all they will do is honor the Yes tickets for any upcoming date on their schedule, Jason Aldeen, Government Mule, or Derek Trucks. "Yes" they are not. I'm the one who posted the review at Progressive Ears. (Hi, Mark.) I was in the "Golden Circle" area, two rows from the stage, and what I heard was secondhand, overheard from a couple of guys in front of me. They said *they* heard a conversation take place that said the headliner had to at least play for 10 minutes for a show to have officially taken place. If that's true, it explains why Yes would have taken the stage with a dead keyboard rig -- otherwise, they probably wouldn't have bothered. I'm glad they made the effort, especially for those of us who stuck it out through the storm -- but if they were forced to play just so the promoters didn't have to issue refunds, well, that's pretty cynical. And I, too, blame the promoters and not the band. It wasn't until we finally ... under the threat of ever closer lightning ... headed back to the car and fought our way through paying for our parking that I pondered the question of how do I count this show? Can I really count four minutes of YES as I complete show? After all, if this were baseball, five-and-a-half innings would have to have been played for the game to be considered a complete game. Can I now say that I truly saw YES 32 times? Or is 31.03 more appropriate? Well, I did "see" them a 32nd time ... I did attend a 32nd show ... But I only heard them for four minutes out of what might have been a two-hour show. I don't know ... and it doesn't really matter, I suppose. A complete game it was not ... a good venue it was not ... a refund there will not be ... But it was good to be around so many YES fans and feel the excitement that slowly builds up to the opening notes of "Firebird Suite" ... And it is good to give thanks for wondrous music and those that create it! "Nous sommes du soleil ... We love when they play!" (Friend wrote: I AM SURE that they did. They are professionals. I can make fun of them at times, but I respect them as professionals. (1) Right. (2) Experiencing the thunder and lightning that we did, and running through ankle-high puddles to get to the parking garage, and hearing *more* thunder and closeby lightning, it is shocking to me that they didn't officially cancel the show immediately. Rain was absolutely soaking that stage, and there was *plenty* of lightning. Given the fact that people are becoming more and more aware of the dangers of lightning storms, and organizations (such as youth sports groups) are being expected to act more responsibly during bad weather, it's really inappropriate for concert promoters to not follow suit, especially when thousands of people are around. (3) As people have said on the Yes reviews page, it is unconscionable(sp?) that a promoter/venue can advertise 'Concert Rain or Shine' and then provide a really crappy little stage and not enough protection for the musicians. This stage was relatively small, and there was no protection on three sides. (4) I can't believe that some people waited it out huddled under crappy little vendor tents. It is only a stroke of luck that someone--whether a customer, staff member, or musician--wasn't killed by lightning. That would have put a damper on things right quick. Great set by Asia and major kudos to Yes for trying to play for their fans in a simply impossible situation. I will never go to a show at the National Harbor ever again. This is a terrible venue and the picture they show on their website is incredibly misleading, they should show a shot of the parking lot which would be more truthful. Also, clearly this was not a Rain or Shine event as advertised. While no one can control the rain, the tiny stage was completely inadequate. 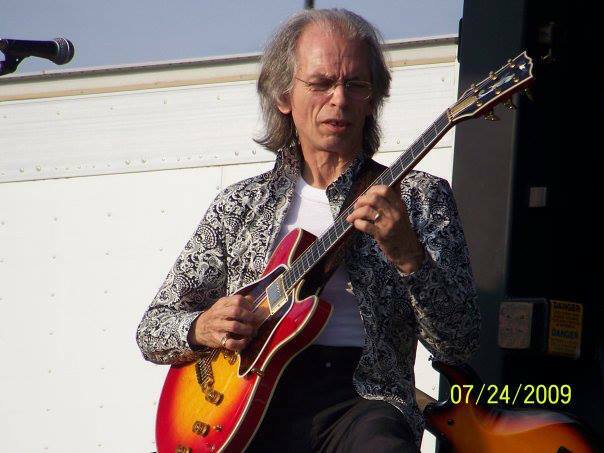 Thank God Steve Howe didn't get electrocuted. Shame on the promoters and the National Harbor for this debacle. Asia and Yes get an A+, the promoters and the venue get a well deserved F. I look forward to seeing Yes and Asia again, next time at a more professional venue. Took my 5-year old son to his first big concert, and he loved it until the rain and the booming thunder. Good points - 1. the venue was easy to get to by car, the parking in the lots was easy and only $6. 2. getting the ticket was easy, got it at the gate, only $25, and my son got in free. 4. Asia were excellent - eclectic mix of their stuff, King Crimson, ELP, and Video Killed the Radiostar - my son recognized that, and his face lit up. 6. Yes for trying to give us a set - we left 20 minutes after the first song - the thunder and lightning was starting to give my boy the heebie-jeebies. Bad points - 1. the venue is odd - they say bring your own chairs, but don't say that most of the space is in a car park on asphalt - the grass part is very limited. 2. getting food and drink there takes a long time. 3. the pre-fab stage was far too small - Yes were getting soaked, and risking electrocution. Even so, me and my boy had a ball until we had to leave - without the rain it would have been one to really remember. However, I saw Yes at WolfTrap about 6 years ago - they were phenomenal! The sound and the performance were near-perfect. Could this concert not be done there - this Yes-Asia lineup is worthy of that unique venue! I was shattered when Yes was forced from the �stage� by a torrential downpour half-way through their opening number! Foiled by terrible weather and an even worse venue--they played in a parking lot on an undersized, inadequately covered stage. When the rain came it cascaded down on the electrical components making it too dangerous to go on. Asia played a great set, albeit too short. All of the time and money, fantastic seats in the second row center�wasted. 4 minutes of Siberian Khatru and what promised to be a magical evening came to an abrupt halt. The promoters made their cash and the fans were left without getting all that they paid for! Next show at National Harbor�STAY HOME AND WATCH A DVD INSTEAD! Only in DC can you be subjected to a situation such as this. I noticed the announcement for the show months ago, and I purchased the $20 tickets figuring the venue had to be small. National Harbor needs to let people know that the show is taking place in a parking lot! Then, everthing was sold via tickets you had to purchase at one place and use in another. All these strikes and then Asia comes out. Good set, although having seen them on their first tour years ago, time has not been on their side. The music was well played, but the songs of Asia just haven't aged that well. Video Killed the Radio Star was nice to hear and see. However, the dancing man in front of the "lawn crowd" was actually stealing parts of the show from the band. After a short break, Yes came out after the intro of "Firebird Suite" played and kicked into Siberian Khatru. Solid start and then the rain storm kicked in much harder than Yes. We had a great time underneath the wine tent, but we were trapped for the duration of the storm. Afterwards, Yes came out and played "All Good People" and tried to do "Roundabout". Mother Nature wasn't having it, and the torrential storm came back with a vengeance. I am annoyed because the ticket stated rain or shine, and I expected to see a show even if I was trapped in the rain. In the good old land of DC, I hope one of the many lawyers in the crowd pitches a fit to the organizers of the show. The tickets should be refunded or honored at another Yes show. As for Yes and Company, either someone didn't do his homework when he booked Yes here, or like everyone else, they are trying to earn a few extra bucks in these tough economic times. Next time Yes, do us all a favor and get booked back at Wolftrap! I have a feeling most of us would have paid a few extra dollars for a much better venue. Caveat; I am no musician; I first saw YES at a 1974 MSG show; Johnny Cash at a 1971 MSG show was my first concert ever. Rain onto Steve Howe's equipment cut short YES's pleasantly surprising opener "Siberian Khatru" after a spokesperson announced there would be a twenty minute delay for a passing storm cell before the band would start playing. Nearby lightning strikes and periodically heavy rain caused a lengthy delay and reportedly knocked the keyboards out of commission. Enthusiastic elements of the crowd chanted "We want YES, we want YES" at various intervals during the delay, particularly when staff removed another plastic sheet from protected equipment. Howe resumed the show with a solo electric instrumental I'm embarrased to state I can't identify. "All Good People" followed in an uncommon though energetic arrangement. The spokesperson took a mike to state with regret that the frequent lightning hazard prevented the show from continuing and that the band had come out again; which elicited the crowd's disapproval. Howe, Squire and White gallantly broke into "Roundabout" with Benoit vocals to follow. They were energetic and smiling until rainfall started and increased. I caught Howe worriedly looking skyward during the second break, then shaking his head back and forth a few bars before the band quickly abbreviated the song. The spokesperson apologized for a weather-shortened show. Personally, I miss Jon Anderson in the line-up and look forward to the prospect of his return. Tonight was my first trip to National Harbor. I enjoyed the show alot, however brief. The sound through the linear-phase array sounded good to me, though I made a point to mostly listen directly behind the soundboard. The outdoor venue could have hosted a terrific concert had the weather been fair. Oh, yeah; ASIA's highlight for me was instrumental "Fanfare for the Common Man", though John Wetton vocals shined in "In the Court of The Crimson King". In my opinion, worth the price of admission for any fence-sitters on subsequent tour dates. Hasta luego!! I had tickets to the Yes show last summer and the tour was canceled one week prior to the show due to Jon Anderson's respiratory infection. I was so looking forward to this show as I have never seen Yes before, what a monumental disappointment to only see them play part of one song because of torrential rain. I truly hope these incredibly talented guys come back soon, but next time I hope they pick a venue that is not in a parking lot. Yes is so much better than that. If Yes wants to play intimate venues, may I suggest the Rams Head or the Birchmere next time. This way the show won't get canceled due to rain. I really enjoyed the Asia set. Unfortunately Yes didn't even get through the first song, Siberian Khatru, I think, when it started raining. Steve's guitars were getting rained on so they stopped mid-song. Which was probably a very good idea since the rain quickly turned into a torrential downpour with a lot of lightning. And some of lightning strikes were very close with less than a second between the flash and the thunder. A lot of us stood out in the rain for twenty or thirty minutes hoping the deluge would subside, but it didn't. It became clear when the stage was awash with water that it would be suicidal to try to play electric instruments on that stage. I hope all the instruments survived unscathed. The crew was trying to get plastic sheets over everything, but the stage was packed with equipment and it wasn't very well shielded from the downpour. It was disappointing not to see Yes play more than part of a song, but I'm glad nobody got electrocuted. Hopefully Yes will play the DC area again at a drier venue. On a positive note Asia rocked and we did need some rain. Just not at that particular time and place. It is possible they tried to play later, but I think it was probably too dangerous to attempt. National Harbor is DC's newest outside concert venue and convention center. It is located in Prince George's County, Maryland next to the newly rebuilt Woodrow Wilson bridge along the Potomac River. This is the first season concerts have been held at this waterfront location. The stage is situated in a parking lot and is the only covered structure in the lot. Fans who come to shows are completely exposed to the elements. Tonight, Asia was the first of two acts scheduled to perform. Asia played their standard hour long show. Geoff Downes chose "Video Killed The Radio Star" from his Buggles years, John Wetton performed "In the Court Of the Crimson King" from a classic King Crimson cd, and Carl Palmer decided on "Fanfare For The Common Man" that included a short drum solo from his ELP days. Other than that, Asia mostly performed songs from their first two albums and one new song. Just before the second act, Yes, came on stage an announcement was made that there would be a 15-20 minute delay because of an approaching storm. After one minute, however, strains of "Firebird Suite" were heard and the band began to play "Siberian Khatru" which was cut short because of a sudden downpour. Yes promised to retun. During the rain delay some fans huddled under the beer tents as others braved the powerful storm. 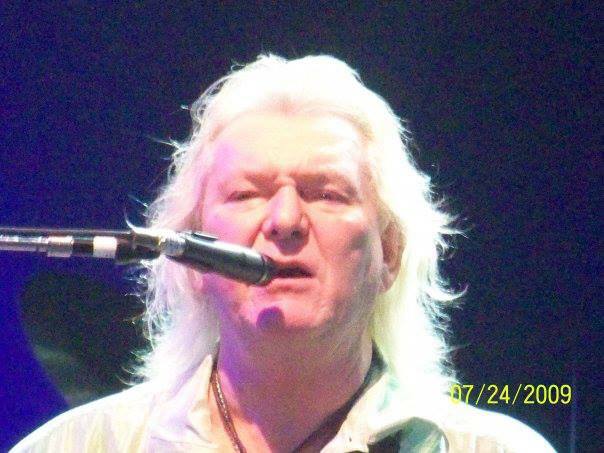 After more than an hour delay Chris Squire announced that the storm had knocked out Oliver Wakeman's keyboard equipment but they would still perform. Steve Howe started with an electric solo improvisation and then Yes played a complete "I've Seen All Good People" with Oliver Wakeman playing the tamborine. Squire then announced that a second storm was approaching and they would have to stop. The crowd chanted "one more" and Squire asked the fans what they would like to hear. The crowd roared out their requests and Steve Howe started "Roundabout" but unfortunately the song was cut short once again due to a second storm cell arriving. Yes definately dealt with the situation very professionally and were very determined to play as long as possible. At National Harbor, bands are under contract to play for at least ten minutes or their contract won't be honored. Yes apparently did manage to requisite ten minutes, but leaving Yes fans who were looking forward to seeing their favorite band holding soggy ticket stubs.